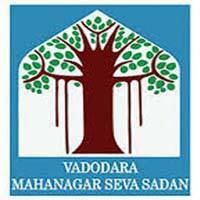 Vadodara Municipal Corporation (VMC) Vadodara Published Recruitment Notification for Programming and System Administrative Assistant (PASA), Draughtsman (Civil), Pipe Fitter, Refrigeration and Air Conditioned Mechanic, Mechanic Earthmoving Machinery (MEMM), Horticultural Assistant, Pump Mechanic, Surveyor, Fitter, Mechanic Motor Vehicle, Electrician, Wireman, Lineman, Book Binder and Plumber Posts. Send Application to This Address : General Administration Department, Apprentice Branch, Room No. 127/2, Khanderao Market Building, Vadodara - 390209.